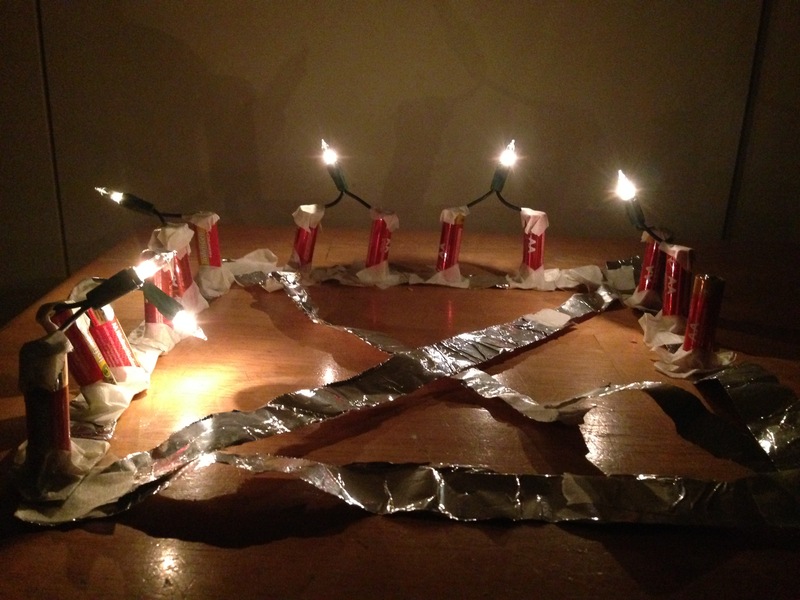 Make wires from foil and masking tape, and freely experiment with them and holiday light bulbs and batteries. Students discover how to set up an electric circuit. A good introduction electricity. The Play-Debrief-Replay method of teaching works great for this activity. See the resource. Optional: discuss with students what electricity is (a flow of electrons through a wire or something that can allow them to move in it). Ask them to think about this concept as they experiment. Use this concept as phenomena are explained later. 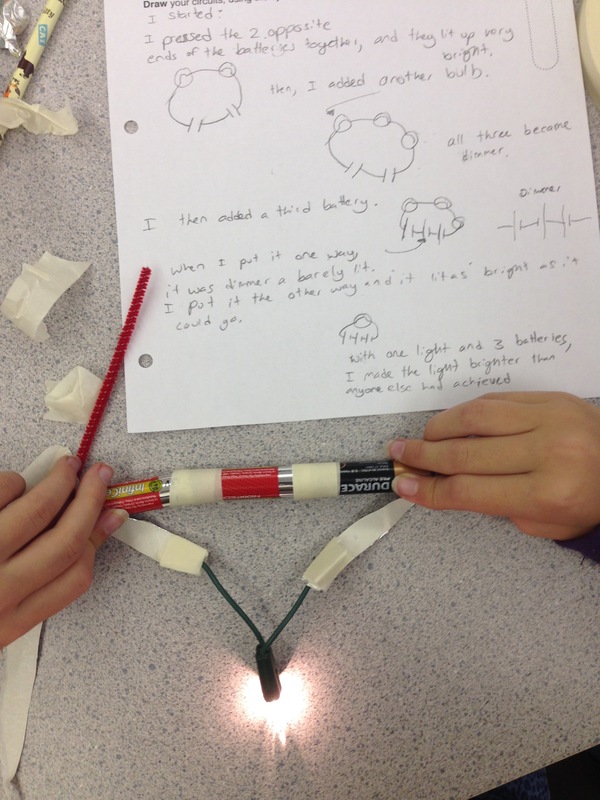 Show students their materials: battery, bulb, wires, clips and tape. 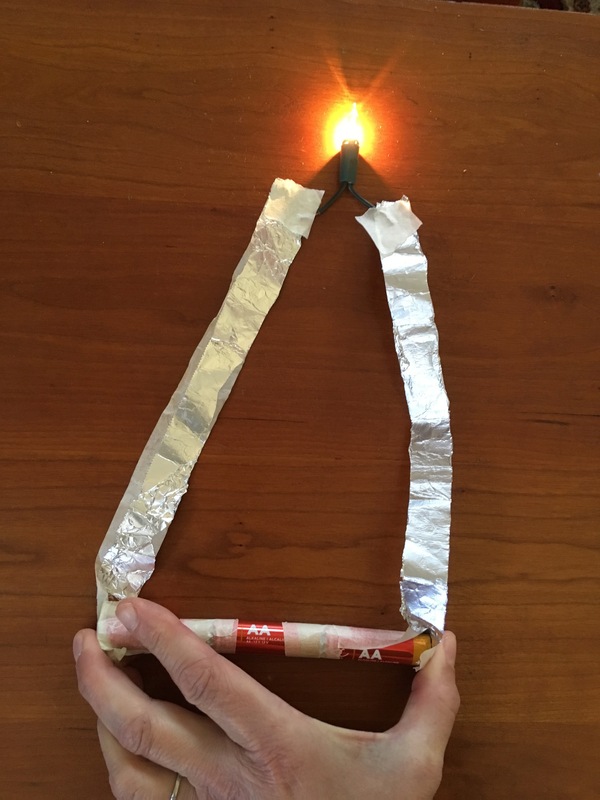 Show students how to how make more wires as follows: Tear off a length of foil from the roll. 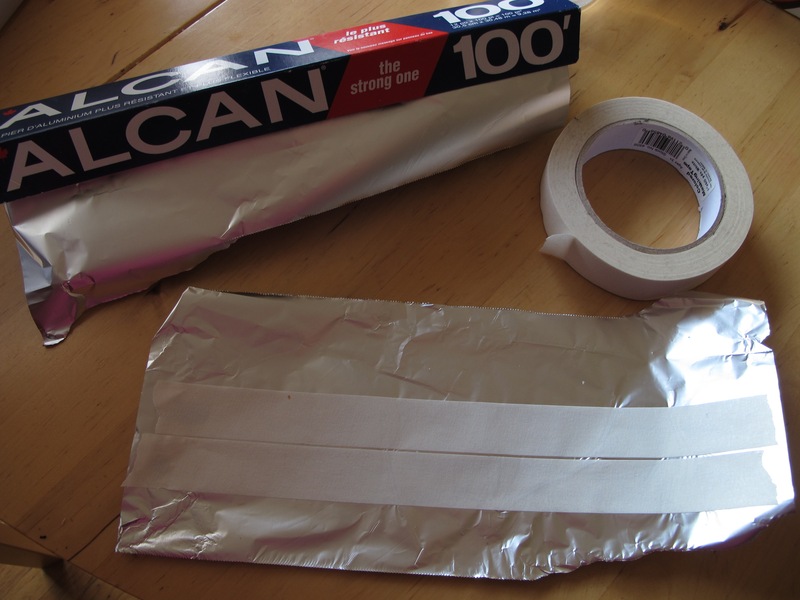 Make lengths of masking tape the width of the foil, and tape them next to each other to fill one side of the foil. 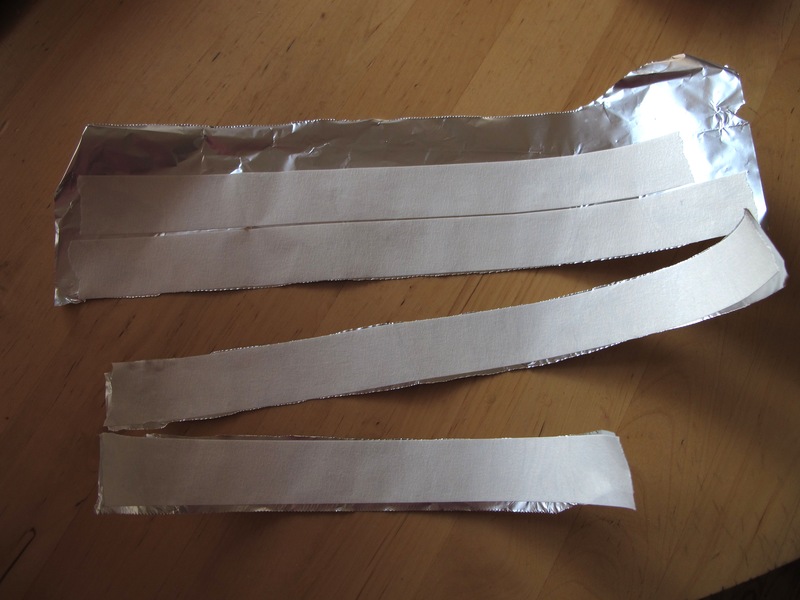 Tear between the strips of tape, to make lengths of foil backed with tape. 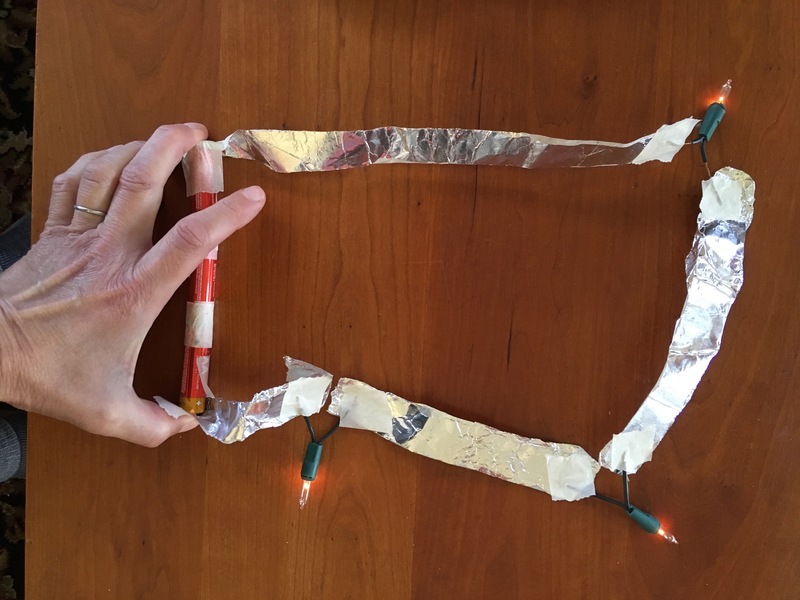 Show students how to clip bulbs from holiday lights (and long insulated wires if they wish to use these instead of the foil wires). 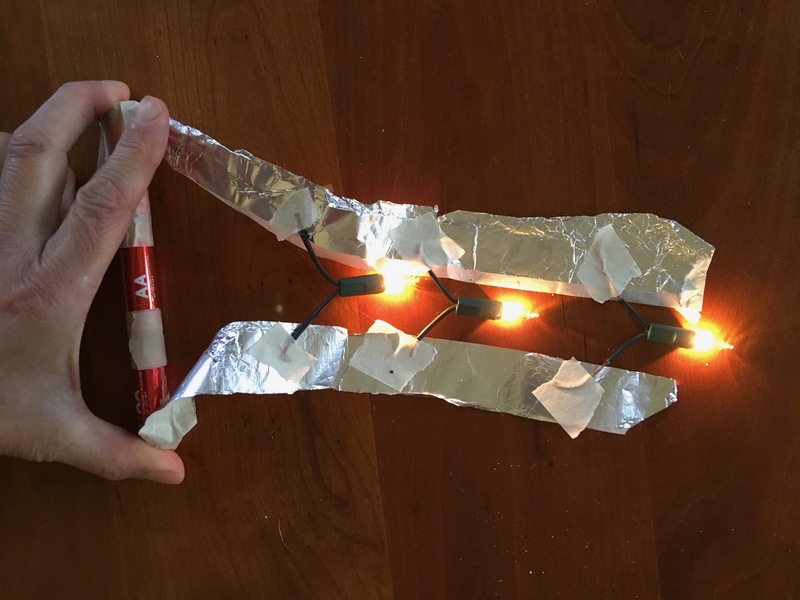 Allow students to freely experiment to make circuits with the wires, by clipping them to the wire ends of the lights, and taping them to the ends of the battery. Once students have experimented for a while ask them to leave their materials, and gather to discuss what they find. Discuss electricity concepts as students come up with them. Encourage discussion between students about what they found. Start to use symbols for circuit components. Short circuit, when a battery is connected by a wire at both ends, with no bulb. The current can flow fast between the ends of the battery, until the wire and the battery gets hot. Lighting the bulb: they will have found that they need to make a circle, containing a battery and a bulb to make the bulb light. Discuss that the electrons flow from one end of the battery (the negative) around the circuit and into the other end of the battery (the positive). If there is no circle, there will be no current and the bulb will not light. Students may experiment with number of batteries and numbers of bulbs. 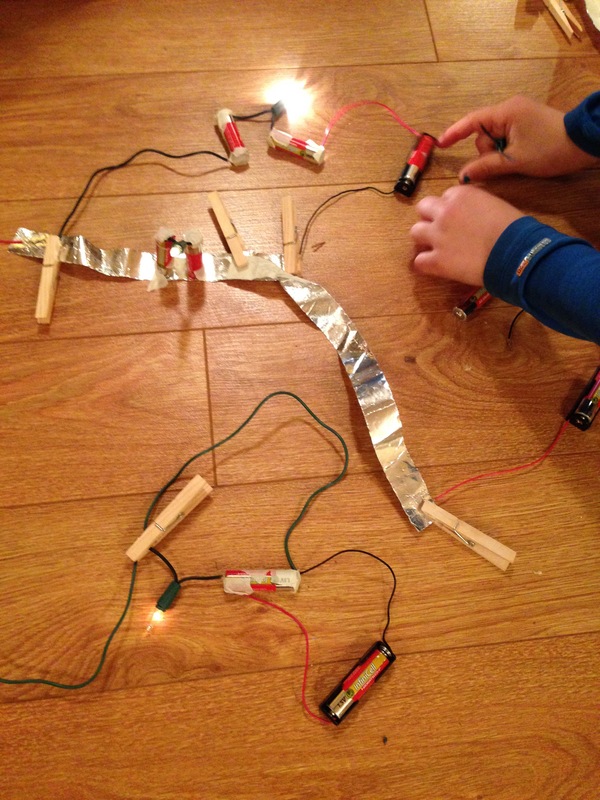 Series circuit: when the battery and bulbs are all in a line. The energy from the battery is divided between the bulbs, so the brightness of the bulb will depend on how many batteries and bulbs there are. Blowing a bulb: with a lot of batteries (at least 5) and one bulb the bulb will blow, as too much current flowing through it melted the element and broke the circuit. 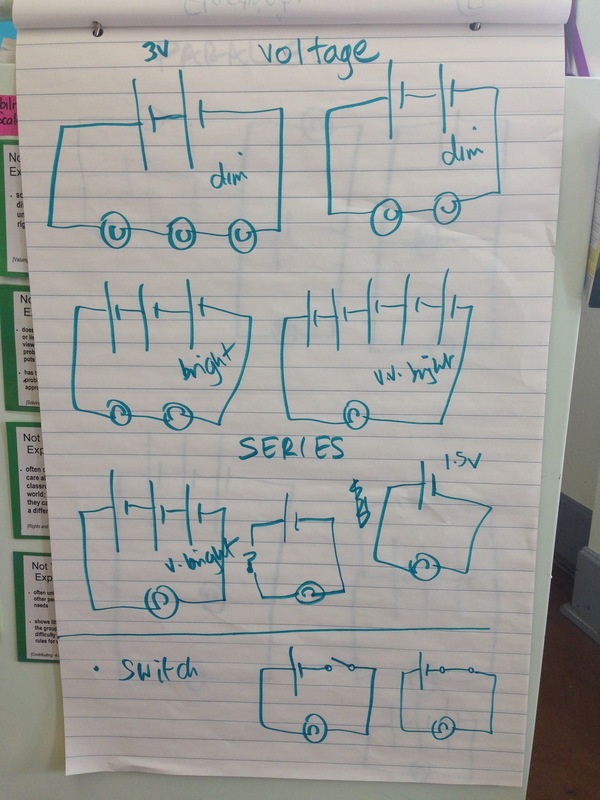 Switch: students will find that some bulbs go on and off as they move the wires around. The contact is being broken, which breaks the circuit. Real switches break the circuit in a more controlled manner. 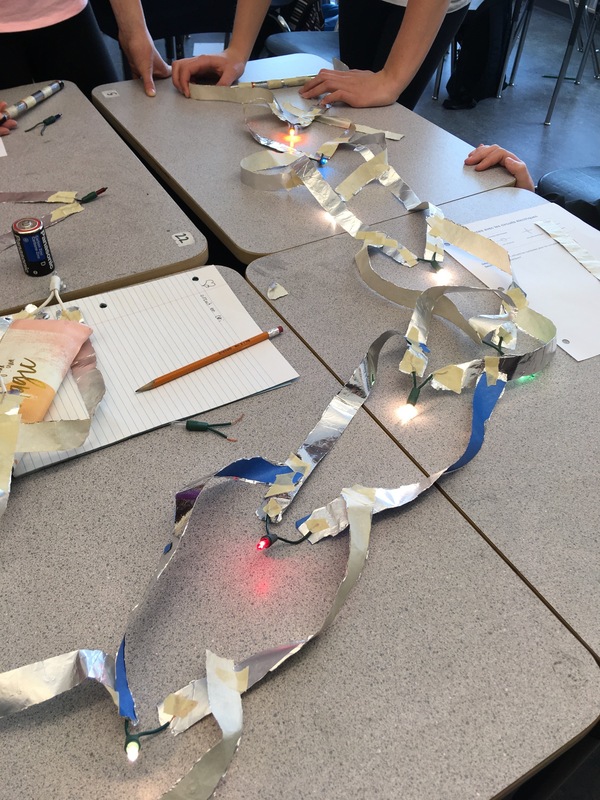 Parallel circuit: when there is more than one path for the current to flow, most simply with two bulbs straddling one battery. The brightness of the bulbs should be the same as when there is just one bulb, as each bulb will draw as much current as one alone when they are in parallel (unlike when they are in series). Help students come up with new experiments to investigate more deeply (suggest students with similar questions work together). If they have not already changed numbers of batteries and bulbs, encourage them to do so. 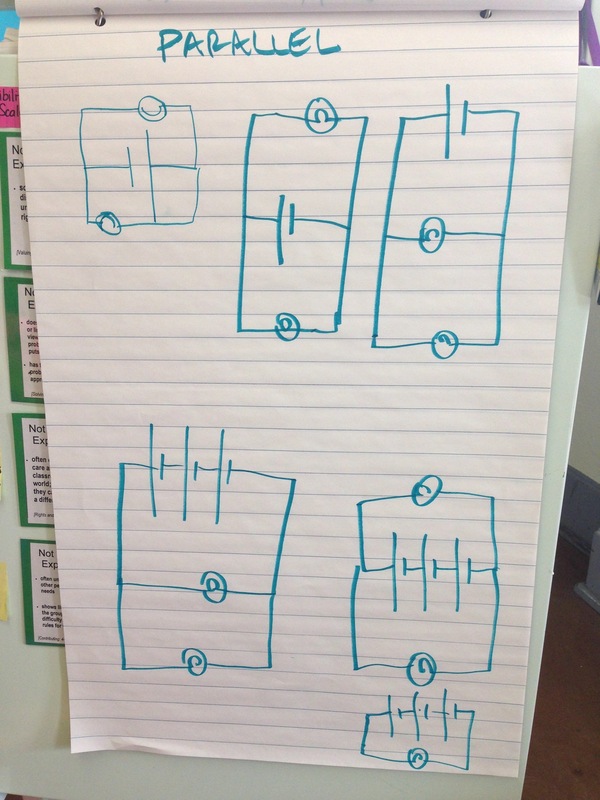 If they have not already made different shapes of circuits (series and parallel), encourage them to do so. Regroup once more to share discoveries. Encourage students to continue at home, as the materials are easy to obtain. I initially used clothes pegs to connect the wires and bulbs, but taping them together on a desk makes the circuit layout more clearly laid out, and makes bad connections less likely.